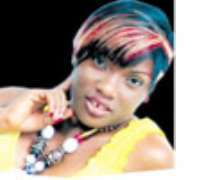 Akwa-Ibom born actress Uduak Akra is one of the most improved Nollywood actresses. Although many may not know her by name because she took a break from the industry to face her studies in the University of Lagos, this soon-to- be graduate of Creative Art, has made a re-entry on the screen but this time around on soap operas. In this interview with Mercy Michael, she spoke about discrimination in the industry among other issues. BRIEFLY, tell us about yourself? My name is Uduak, from Akwa-Ibom state in Nigeria. I was born in Lagos. I am an undergraduate, University of Lagos studying Creative Art. In two months I should be a graduate (Laughs). You are looking forward to youth service, aren't you? I don't want to serve, because I already have some business plans, ideas and projects that I want to work on after school, spending one year outside Lagos or somewhere and just fulfilling something that's not my major desire, will affect those plans of mine. So that's why I wouldn't want to serve. What are those plans of yours that won't allow you serve your father land? They are still in the kitty, I really wouldn't want to talk about them. Doesn't it have anything to do with your acting career? It has, but its more encompassing, it's all about entertainment. I'm into planning of events wedding and all sorts but school has distracted me somehow. So now that I'm going to be through with school, I'm really going to focus on that and then some other projects like child training in the area of Art, in that line there are some projects I have on ground that I know that after school I will be able to follow up on them. Did you major on children Art in school? Yes, because there is a particular course in school, Children's Theatre, we went to a particular school we did something with the kids and I was tripped, you know with that, I developed the passion to do something for kids. Because really in the area of entertainment; kids are kind of relegated to the background. Somehow we try to do something for them but, they are not really enjoying so much of what the adults in the field of acting are enjoying. And I know that as I start, greater ideas will come to keep our kids busy. My growing up was cool, then I could call it average but now because of my knowledge of God's words I know who I am, so I can't say I'm from an average home. I'm from a rich home. My dad is a wonderful person, my mum is late now. She was a wonderful person too; they did so much work on me. When I look at myself I'm just happy that I was born into that family because my father is so disciplined. I have never seen a man like that before, it's not that he's hard, but just disciplined. He is not just telling you do the right thing, you will see him do the right thing and that way you are kind of motivated to the same thing. You know, I've heard cases where some people say they know their dad's girlfriend or they see their dad drink, smoke. I didn't see my dad do any of that. In fact he doesn't even have friend, he's always at home. It's only one or two people that I know these are his friends. All the places we have lived, it is through us that people get to know him. He is not an introvert but he just likes peace and he doesn't want anything that will cause him and his family embarrassment or that will put him in public eye. So he tries to keep to himself. I am sorry to cast your mind back but; did you miss your mother, and how was it growing up without her? I lost my mother in 1992 when I was in JSS 2. I schooled in Benin City FGGC, Igboko. I was very close to my mum; she usually came to pick us after each term's holiday. But when that incident occurred, nobody called me to inform me. When the term was over I got to the park as usual hoping to find her there but instead, it was my dad waiting for me. Somehow, I knew something had gone wrong but I didn't know what it was. I got to the home, talked for a while, and went to see pastor of our church. It was the pastor that told me, because my dad couldn't tell me, we had to stay in the pastor's house; my self and my other two siblings for a while. We had their kids and so many people around the house, so they were able to help us to get over it easily. After we left there, we went back to school. It was that incident that made me give my life to Christ because I was so dependent on mum. I felt the world was a lonely place without my mum I had some friends who came and preached to me and made me realize that God is the only one I could depend on, and I think that made me to get over it easily. Didn't you think that coming to the movie industry could mar your faith? Well I didn't think of it, because I just know that in every thing I am more than a conqueror. I just know that whatever it is, I can overcome. I got into the industry in 1999; I started on stage then with soap opera and finally movies. But with movies, there's been distractions, but one thing I keep thanking God is that I know who I am I will always find myself back on track. You meet different people; you just feel the need to be around these people because of the job. Eventually you find yourself doing something you are not supposed to do but quickly I put myself right on track on time. But right now, I'm going all the way, no distractions! You came into the industry 1999. How did it all start and what motivated you? Well, I never really had it in mind to become an actress when I was growing up. I just liked dancing, singing, and doing some funny things. I loved playing. So after secondary school I wanted to study Mass Communication and I actually started but stopped along the line. Even though I've always had Mass Comm. in mind, because I felt it was more honorable to read news or present a programme rather than act. Somewhere at the back of my mind I always admired actors and actresses but then I kept looking at it that it's for dull people. Along the line the passion grew stronger when I met Okon Edo Omohkaro. We attended the same church; Christ Embassy. He acted in church a couple of times and I was thrilled by his performance and I was motivated. I walked up to him and told him of my intentions to act and he told me he will call me whenever an opportunity came up. There was a stage production the God's are not to blame directed by Ben Tomoloju. He told me about it, I got into camp with them, stayed there for like a month or two and I did the job. I was so excited. I leant so much and immediately after I left that camp I went to Lagos State University (LASU) to study Theater Art. So that was how the journey into the world of theater started. And there was excitement all the way; I was so passionate about it, I learnt so much in LASU. After my diploma I proceeded to the University of Lagos (UNILAG) to study Creative Art. So I did not just find myself in this industry, I wasn't just passing by and decided to branch. No! I planned for it and I worked towards it. What are the limitations you have in the industry and have you ever thought of quitting? So many! It is very annoying that there's so much discrimination in the industry. Everyone in the industry today started from somewhere, and nobody was born from their mother's womb a star, a big producer, director or a big time marketer. Nobody was born that way. But people in the industry will always want to give you the impression that we have always been here. We were born this way, which is not! They make it so obvious that, when they want to give out jobs, they want to look out for stars; they want to look out for known faces. Somebody gave this people an opportunity that's why they are where they are today. They usually give the excuse that they want selling faces, but for crying out loud, selling faces were not born into the market. You made the viewers or the audience to accept them, so you can always bring up somebody else that the viewers will accept. Of course, when you keep featuring them the people will get to accept them. But using the same faces over and over again it's boring. I've actually written on stock characters as my project topic in school. The same people that keep playing the same role over and over again it's annoying. And this type of discrimination doesn't really bring out the best in up coming artiste. The ideal thing is to use someone people already know and pair them up with up coming artiste, that way they can bring out the best in those other people too so that tomorrow those ones will be also become 'selling faces'. Entertainment is all about variety, you see different people. That's why I like soaps a lot. They are people you will see and you won't expect that they will do well on screen. But the movie industry does not give you that opportunity. Like I said variety is the spice of life, let's see different faces. Is it something you think is peculiar to Nollywood alone? No! Even the Ghanaian film industry is guilty of the same thing. There are these Ghanaian actors, new guy and girl, every of their movie you see, you see both of them together in the same movies, playing the same kind of roles. For me, it's like the same story with the same people and they are just changing the names of the characters, the same facial expression, the same style, and same costume. I like their acting style and you know they have fine faces; it's something that attracts you but beyond that, it's like the same story again and again. So this discourages me, and a lot of time I'm not really excited about going to work with some set of people, because if you don't appreciate me, I won't give you my best. But if I'm going on a set and I know I will be appreciated, I certainly will give my best. And if along the line, you have issues I will be there to support you because I know you appreciate me. And I believe if we work that way as a family we will always get the best. Again, the issue of having to mix business with pleasure, or giving me conditions before you can give me a role. I don't like it at all. That has discouraged me so many times. If we are working together and we get attracted to each other that's a different thing; but trying to attach it with giving me roles is irritating and it drives me crazy. The issue of harassment in the industry, tell us your experience. That actually happened to me early this year. Somebody called me for a job and from the very day I collected the script I didn't have peace. It was the text messages, phone calls and I had to let him know I'm not desperate. But really I think a lot of girls are desperate so that gives them the impression that every body is like that. For crying out loud, I studied creative art in school, I have a diploma in Theater Art. Some of them I can even teach a few things but just because you have the money to produce you think you can now get something from me. No way! This is something that I studied, you are not doing me a favour by giving me a job rather I'm doing you a favour. If it's easy to act then go on set and act, that way you won't need me. I have friends in the industry and some of them don't give me jobs and I don't quarrel over it. If I don't fit in fine! We will remain friends. You took a break off the screen for a while, why? I actually got irritated about something along the line then I just stopped. In 2002 I decided to come back. I didn't just leave mainly because of school but because they weren't calling me for jobs or giving me fresh challenges. So I felt there was nothing for me and I went doing something else. But a few friends spoke to me and I came back and I did Private Sin, and Emotional Crack, that's how I started all over again. Not that I expect the jobs to come and meet me. I go for audition whenever I hear about it, but at the point I stopped because when you go for the audition they will only pick the people they know. Or sometimes, you will find out that they already have their choice and so you just go there and they audition you for nothing. When I noticed all of that I stopped attending auditions. I decided that if anybody sees my job and wants me to work for them, they can give me a call and I will come over but for me to be hanging around or embarrassing my self. No way! I'm too much for that.